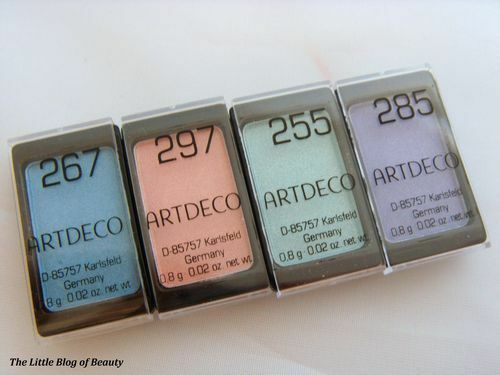 Artdeco is a German cosmetics company that I don’t believe is widely recognised in the UK. I have never actually tried any of their products before but was keen to try some after seeing that they had collaborated with Dita Von Teese. Earlier this year I saw a picture of a new spring/summer collection to be released by Artdeco and I got very excited by one item in particular. Although I’m not quite as bad as I used to be when I was younger I am still a big fan of anything which features a butterfly design. I think butterfly’s are beautiful things but rather strangely if one flies too close to me I’ll be off! I don’t know what it is, maybe its the flapping I don’t like, but you would never be able to get me in a butterfly house, which is a shame really. 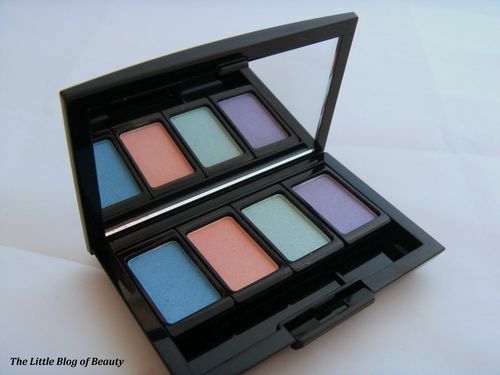 So obviously the item which caught my eye was the eye shadow palette. I tried several times to find out when the collection would be released but I couldn’t find a release date anywhere. However, a couple of weeks ago I received an email to say this had been released. 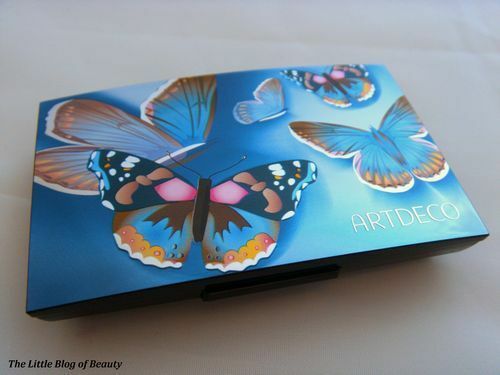 This is not actually an eyeshadow palette but what Artdeco calls a Beauty Box. 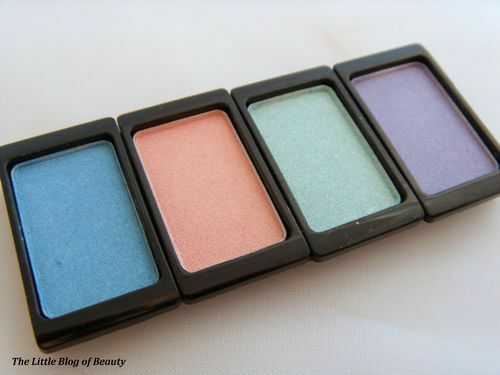 These are available in several different sizes, from duo boxes (which hold two eye shadows) up to quattro boxes (which can hold four eye shadows). 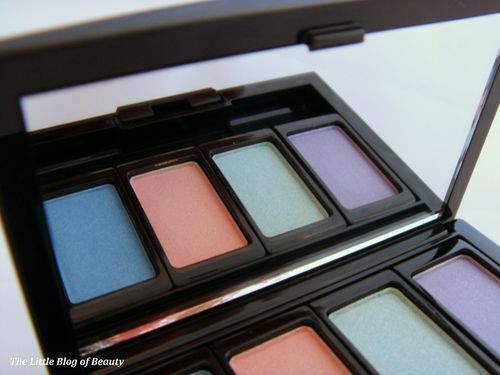 The larger boxes can also hold a combination of eyeshadow(s) and a blusher. These also come in several different designs, from a basic black design from the main collection, to decorated designs from special collections. 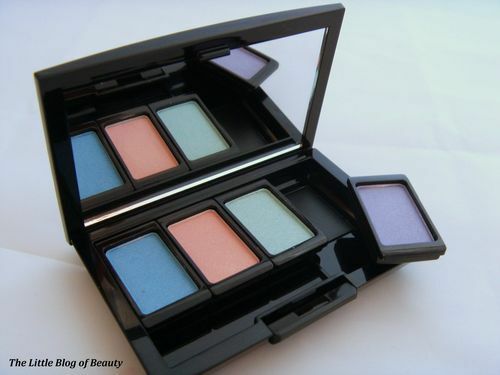 The Beauty Boxes come empty and the eye shadows and blushers to fill the boxes are available separately. 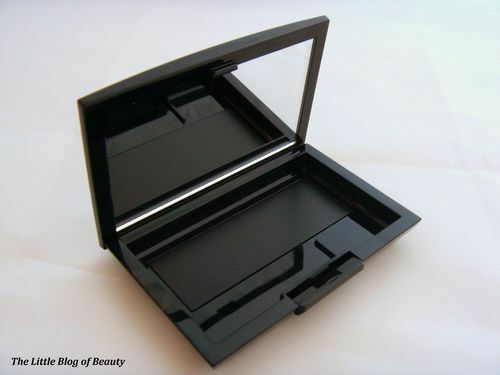 The box is magnetic (the rectangular shape you can see inside the box is the magnet) and the idea is you chose the shades you want to make your own palette and you just pop these in. There is also room to add an applicator but I prefer to use a brush so I didn’t buy an applicator to add to mine. The eye shadows and blushers each have a little clip on lid so you could order as many of these as you wanted and swap them around as and when required and they would be easy to store when not kept in the Beauty Box. In the past I have not really been an eyeshadow person. I have a lot of skin in my eyelids (I have actually been told this by an eye specialist who was trying to find out why I had double vision) and where the crease of my eyelid is the skin forms a kind of fold of skin (god knows what I will look like when I’m really old, eyelid tuck here I come!). So as I said I haven’t used eyeshadow much in the past as my application skills are not great but I really wanted this so I have decided to try and start using it more in the future. 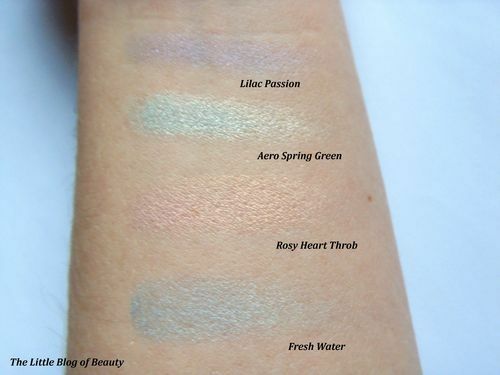 The eye shadows are only tiny at just 0.8g in each one but they appear to have quite a good colour payoff for light pastel shades and I think these will look really pretty in the spring and summer. I particularly like the gold shimmer that runs through Rosy Heart Throb, this looks amazing when the light catches the shimmer. The only thing I am not keen on is that the box is made of that shiny plastic which shows every single fingerprint so I will always be wiping it down, but that’s just me being a perfectionist! 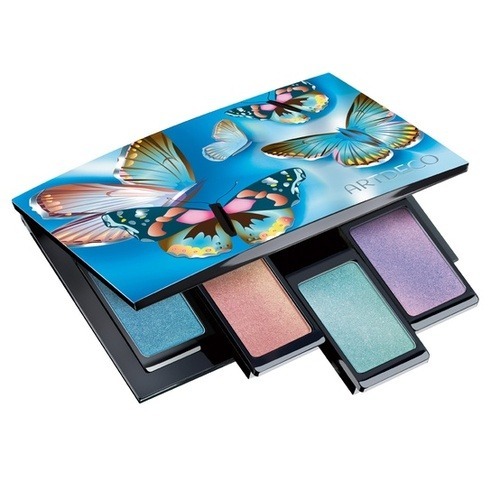 The Artdeco Butterfly Dreams Beauty Box costs £10.25, the eye shadows cost £5.50 each and the blushers are £10.25. 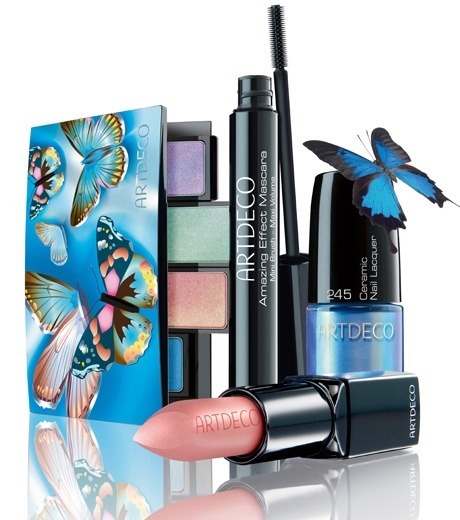 As far as I’m aware Artdeco is not widely available in the UK but can be found at Debenhams and Beauty Bay.